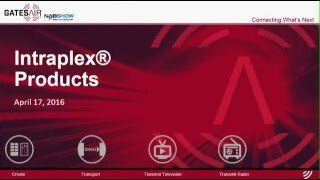 Our challenge: to design a studio-to-transmitter link (STL) for your most demanding 950 MHz applications — one as reliable and robust as Intraplex® T1 and IP audio links. Digital STL manages much more than audio, so installation and configuration need to be straightforward, not a science project. Data should not be optional, requiring additional boxes and complexity. Your STL should be ready, out of the box, for AM, FM and HD Radio™, as well as future multimedia applications. Earlier digital STLs were not designed for IP data transport. 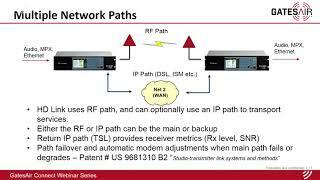 Adding IP data to them required optional modules and external add-ons, and many engineers working on HD Radio installations reported spending much time and money trying to eliminate glitches. Our solution: HD Link™ is designed to manage all HD Radio™ transport scenarios, regardless of where you place your importer and exporter. 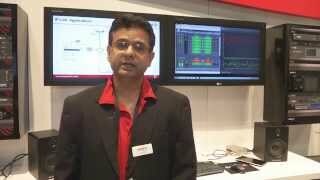 Its two prioritized Ethernet paths give preference to HD Radio™ data over control and other LAN/WAN data. It supports both UDP and TCP, and even handles the switching of TCP return packets over asymmetric IP paths with plug-and-play simplicity. HD Link offers RF power to spare, an integrated IP gateway with sophisticated data handling capabilities, and multiple channels of audio. The intuitive front panel and remote interfaces tap into the most complete feature set of any microwave STL, yet take less time to configure. It can even operate on both RF and IP simultaneously, and allows automatic backup of all services from one to the other. Intraplex is broadcasting’s first choice for rock-solid, full-time operation of T1 STLs. With HD Link, you can now count on the same dependable performance, superior support and long-term value for your microwave links.